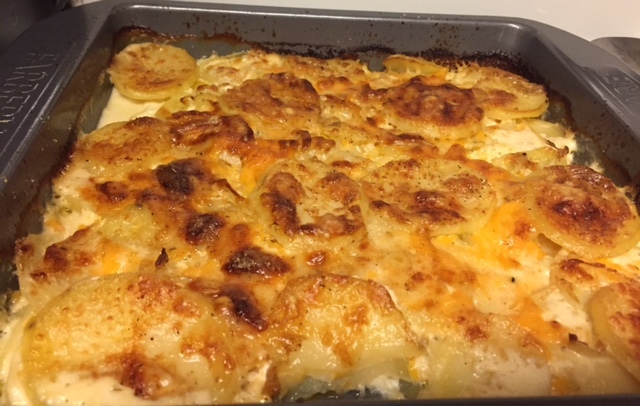 Creamy, cheesy potatoes? Yes please. Potatoes with cheese is one of the great comfort combinations of our time. And this simple side dish will satisfy that comfort food craving. Serve with any protein and veggie. It'll be the highlight of your meal! Grease an 8x8 baking dish with butter or cooking spray. Place a thin layer of potatoes on the bottom. Add a few onion slices. Sprinkle with salt and pepper. Dot a few butter slices on top. Sprinkle a bit of cheddar and gruyer. Repeat two to three more times. Drizzle heavy cream over top of dish. Bake for 1 hour. I enjoy a good danish. More than enjoy it really. Especially when someone else makes them! But these little cherry danishes are super easy to make, and I like to make them for holiday breakfasts. They are also a super easy dessert. 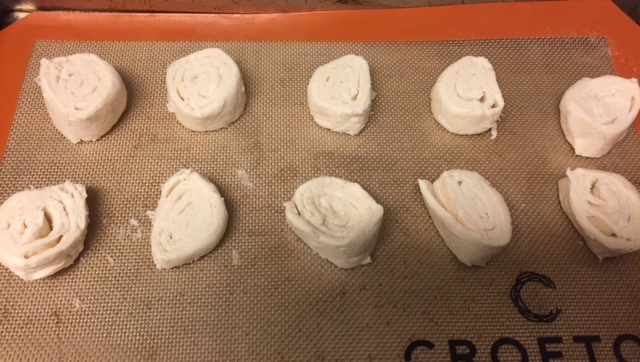 Keep crescent rolls in log shape from the can. Slice into 10 pieces. 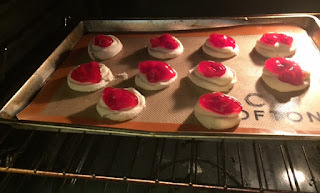 Place on baking sheet and lightly flatten with an edge to hold in the filling. Mix together cream cheese, sugar, and vanilla. 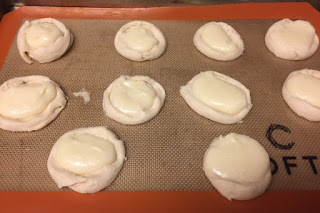 Divide cream cheese mixture evenly between all 10 pieces and spoon on. Top each crescent piece with cherry pie filling. Bake as package directs (I do think I cooked mine an extra couple minutes). Mix together powdered sugar and milk. Drizzle over each pastry.